A leading snack manufacturer experienced many problems marking on corrugated boxes with a competitor’s inkjet. These issues resulted in costly downtime due to operator errors, frequent repairs, and leaking ink. 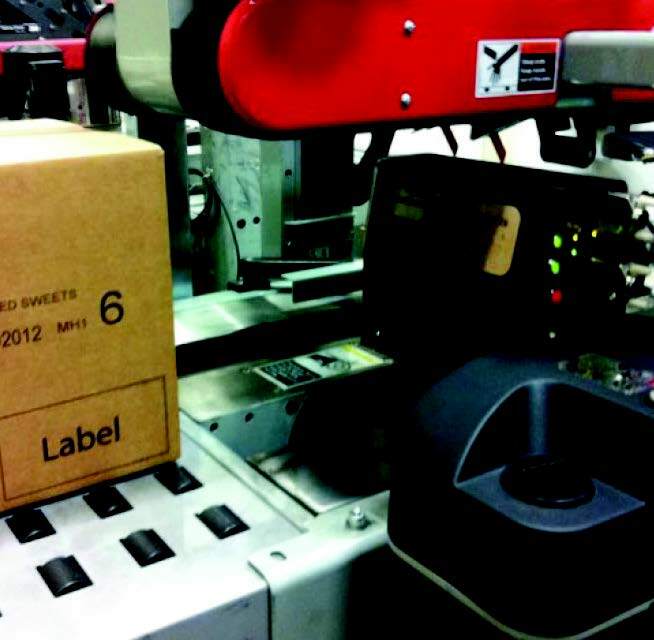 Matthews Marking Systems’ objective was to provide a solution that not only reduced downtime, but also increased the print field from 3” to 4”, allowed for complete connectivity of all lines to a central database, and reduced ink waste. Matthews proposed its universal print platform, MPERIA®, combined with its high-resolution piezo printheads, T-Series. To meet the company’s needs, they required one MPERIA® controller to manage all six production lines, and a 4” printhead with a custom conveyor mount for each production line. With Matthews’ MPERIA®, the snack manufacturer manages all production lines from a centralized controller, and can troubleshoot remotely with its Virtual Network Computing feature. This has greatly reduced downtime due to re-work and discard issues (saving them approximately $1,000 per month) and they no longer have to wait for technical support. In addition, the T-Series print heads allow for a 4” print area* and has a recirculating ink system that reduced ink waste and maintenance time. They estimate a $1,300 cost saving per month.